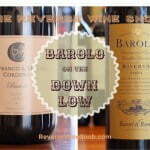 Ten great Italian Sangiovese for under $20! 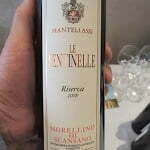 Today we have a special guest post by Bob Fyke, proprietor of Brunello Bob’s Wine Blog, a site dedicated to finding the very best in Brunello di Montalcino and other Sangiovese based wines. 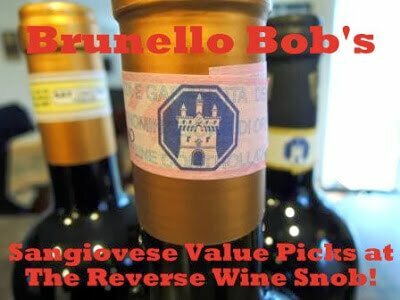 Today Bob is highlighting ten of his favorite Sangiovese value picks! It’s no surprise that I would sing the praises of Sangiovese, having a nickname like “Brunello Bob“, but I love this grape for good reason. There’s a special vibrancy and depth that emanates from wines made of this varietal. Add to that the aromatics and lovely spice notes that are common in them and you’ve got compelling vino. 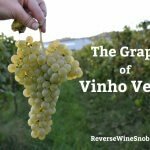 In addition to the fine potential in the grape, there are a great number of geographical variations to be enjoyed, each locale putting its own subtle stamp on the character. 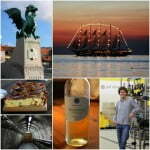 Tuscany is home base, with more than a dozen designated areas that produce wine from Sangiovese. Montalcino, the source of Brunello and Rosso Di Montalcino, is the pinnacle of quality, and while the wines are not what you’d call inexpensive, there are certainly relative values to be found amongst its 200+ producers. Chianti, perhaps the most famous of Sangiovese wines, is actually composed of several “Chianti” regions, all located in Tuscany. Chianti Classico is the heart of the region and the source of some of the greatest expressions; but don’t overlook the many other Chianti regions. 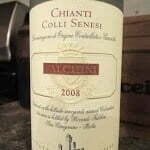 Two of these are Chianti Colle Senesi and Chianti Ruffina, both represented in this value list. 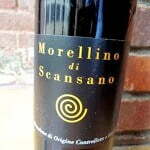 Another region that represents excellent opportunity for quality at a fair price is Morellino di Scansano, a hidden gem located in south-western Tuscany, near the coast. These wines consistently outperform their modest price tags. Other fine sources for Sangiovese include Montepulciano (the Tuscan village not the grape), Montecucco (in Grosseto), Montefalco (in Umbria), and the Tuscan coastal region of Maremma, source of many IGT Sangiovese wines. The abundance of solid producers found in all of these regions is great for us as consumers; finding good Sangiovese is relatively easy. The list below represents a few recently tasted examples of the abundant value available, but they’re just the tip of the iceberg. 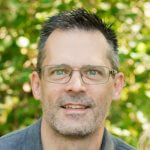 You can see regular posts about Sangiovese wines at my site, Brunello Bob’s Wine Blog. Cheers! Sweet, aromatic wood notes (cedar?) on the nose with solid, fragrant, red cherry, and sweet spice. Later there’s a small hint of vanilla as well. On the palate, there is a nice richness at the core of the firm black cherry skins flavor and a soft texture at first sip. Well supported with earth, leather and flint notes, this wine is both rustic and rich, with good length and a fair a mount of complexity. In addition, the character holds up well over time in the open bottle, no fading here. This is a top value, and a great “house wine” option. The first whiff shows deep, rich, red and black cherry notes with classic Montalcino character, showing earthy spice (fennel?) and a pleasant tartness in the fragrances much like orange rind. 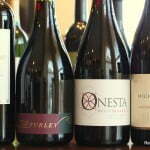 Also on the nose is a firmness and mineral character that add seriousness and stature. The palate is mouthwatering with its sweet acidity, full black cherry flavor and medium weight. There is a hint of sweetness, just enough to balance out the rusticity and minerality. Later, grilled meat and herb notes develop on the solid finish. The Il Poggione Rosso can be relied upon year after year for an affordable alternative to Brunello, although their Brunello is top notch and should be enjoyed as well. Serious wine at a great price. The nose is firm with subtle incense, reserved black cherry fruit, a little black pepper, and lightly charred underbrush.The palate has masculine black cherry and black cherry skins, with great structure, subtle Chinese spice and a hint of pepper again.Medium weight and well balanced, it has a pleasantly bitter finish with good grip and lingering aromatic wood notes. This starts on the elegant side with pretty notes of lean red cherry, clove and allspice, and a heart of flinty Earth and brambles. There’s a nice little core of richness in the nose as well. 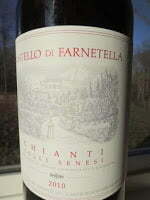 The palate has plenty of lean red cherry fruit with dark notes of Earth, underbrush, and dried herbs. 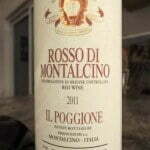 Aromatic and well balanced showing fine tannins and good acidity that work well to support the whole show. I’ve enjoyed this wine repeatedly, and it’s consistency makes it a great value for regular consumption. Floral, spiced, black cherry and nice power on the nose, with aromatic wood notes and flinty Earth. Dark brambles are prominent on the palate, with black cherry extract and red raspberry notes as well. Delicious acidity, fennel, dusty tannins, and good balance fill out the rest. The finish has some length, showing cedar, dried herbs and meat, and a little bit of warmth. The dried herb notes are the first thing you notice on the nose, followed by blackberry, and a firm character. The palate shows roasted black cherry, sweet acidity, more dried herbs, and a hint of fat on the mid-palate. With time, distinct sandalwood shows up, and a hint of anise. The finish is modest, with tartness and spice. Very easy to drink. 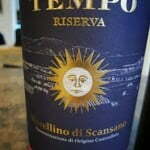 From a well known Brunello producer, this is their “Super-Tuscan” red. The nose starts off with some bite, and a little acridity, although not unpleasantly so. There’s plenty of dark fruit there as well, primarily blackberry, with a little violet, and firm flinty notes underneath. The palate presents with a smooth texture, and pleasing fragrant wood notes, along with charred black cherry and mineral earth. The acidity plays a lesser role, behind the fairly extracted fruit and dense, fine grained, texture. Later, a clear Bordeaux-like nose begins to develop, with cedar, pencil shavings, and some ink. There was also a subtle hint of spearmint late on the nose. 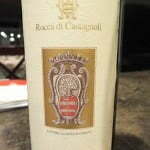 Quite firm in its nature, but satisfying, and resilient, for the duration of the bottle. This is an I.G.T. 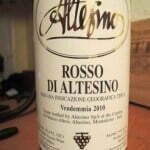 wine made of 80% Sangiovese, with Cabernet Sauvignon and Merlot comprising the other 20%. Fresh red cherry fruit, with a little sweetness, and nice Asian spice notes. The palate is well balanced, with bright red cherry and raspberry, some minerality, good balance and a spicy bite. This wine is complete and satisfying, while being very subtle about it. Excellent QPR. 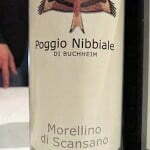 Look for their basic Morellino as well for another great value. The nose starts with solid black cherry flesh, with a slightly roasted character to it, and some milk chocolate notes at the core. Overlying that is a bit of elegance, with dusty sage, anise, and a little smoke.The palate is woodsy, with lean black cherry, and good acidity to support. Later, there’s a little strawberry and some charred Earth coming through. Well balanced, with easy tannins and a savory finish. I’ve tasted this several times, and it does have some bottle variation, but each manifestation has been a good value. Good concentration of fruit on the nose showing pretty black cherry with some perfume. 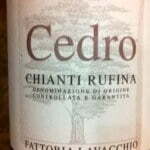 The palate is well balanced with black cherry skins, Earth, a hint of cream and a silky texture. Easy acidity supports it all. The finish is clean, with fine grained tannins and a pleasant richness. Special thanks to Brunello Bob for these great picks. 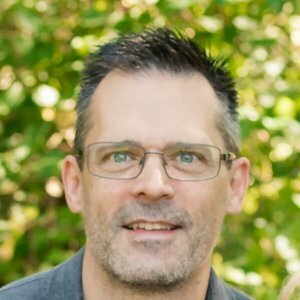 Be sure to check out his website for even more! 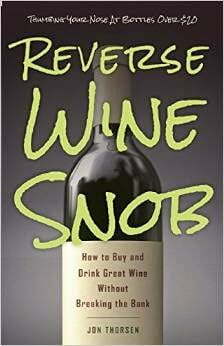 Like The Reverse Wine Snob on Facebook and add our page to your circles on Google+!